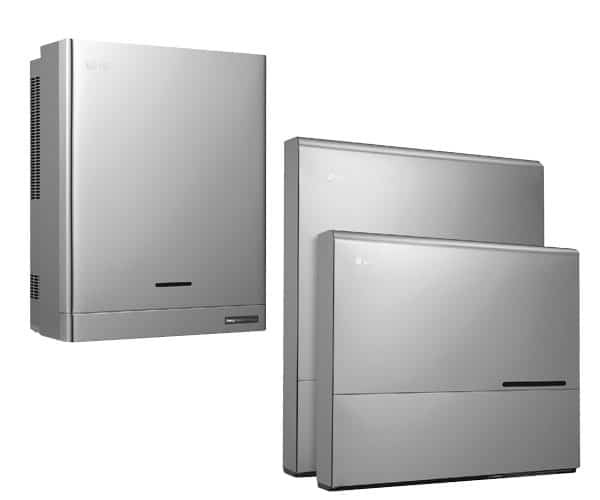 The LGE ESS Home 8 with 10kW Li-Ion Battery Storage Package (LG HB 10H) is a battery storage for self consumption. LG’s DC-coupled ESS converts electrical energy more efficient than AC-coupled ESS. This allows the LG ESS to achieve higher efficiency. In addition, the LG ESS generates three-phase alternating current, so no unbalanced loads can occur. About an additional Switch box can ensure the emergency power supply become. The web monitoring function enables the Installers and users the system status anytime and to check from everywhere.